The company says it's 'the world's most secure Android phone,' but is that enough to spur sales? BlackBerry's first Android phone, the Priv, wasn't half bad. It just didn't offer enough to justify that $700 price. If you were enticed by the security features of the Priv, but you don't want to spend that kind of money (and don't need a physical keyboard), you're in luck. The company just announced its second Android phone, and it only costs $299. 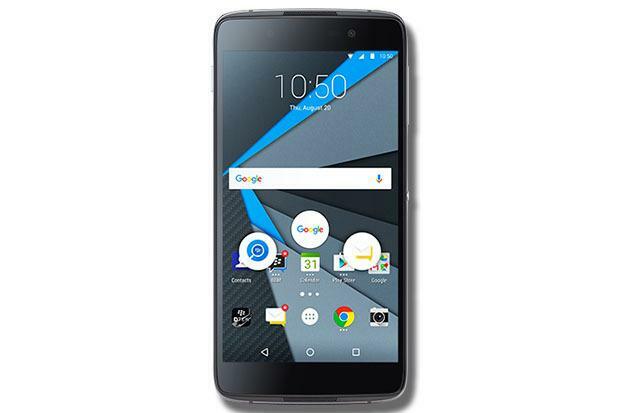 The DTEK50 (doesn't that name just roll off the tongue?) appears to be a barely-modified Alcatel Idol 4. The only hardware change seems to be a new backplate that bears the Blackberry logo. It has a 5.2-inch 1080p display, Snapdragon 617 processor, 13MP rear-facing and 8MP front-facing cameras, and 2610 mAh battery. You'll find 3GB of RAM, 16GB of flash storage, and SD card support. Note that the phone isn't based off the superior Idol 4S, which has a higher-res display, larger battery, and better camera. DTEK by BlackBerry App: Enables users to automatically monitor their OS and apps to know when their privacy could be at risk and to take action to improve it. The DTEK app also tracks applications and notifies you when someone is: taking pictures or videos without your knowledge, turning your microphone on, sending a text message, or accessing your contacts or location. The phone is up for preorder now on BlackBerry.com, in a bundle with an external battery pack for $299. It will go on sale in retail around August 8th. The story behind the story: Once a mobile powerhouse, BlackBerry has fallen on hard times. The Priv was supposed to turn the company around, but suffered poor sales. By taking an existing design and focusing on BlackBerry's strengths in security and manageability, it's able to field a much more affordable option. It's possible that this is the way forward for the company, but I predict the market will shrug off this device as well. BlackBerry may eventually stop making hardware altogether, instead focusing on its expertise in security and device management as a software and services company.